We've teamed up with Bluerise Retreats to bring you this wonderful yoga holiday. 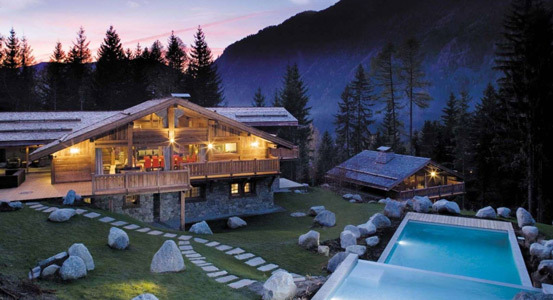 This is an all inclusive retreat, led by Bristol Yoga Centre owner, Naomi Hayama and promises to be a lovely combination of excellent yoga, incredible mountain walks (take it from us, the views from Chamonix’s hiking trails will blow you away) and plenty of healing relaxation time, including a free full body massage and a whole day at a fantastic spa just over the border in Italy. Naomi will guide you through an inspiring week of yoga. Specialising in Hatha Yoga, interweaving Vinyasa Flow, Restorative Yoga, Yin Yoga and Yoga Nidra, Naomi has designed a wonderful week of classes, including a very special high mountain yoga session, with the intention of each individual gaining the full benefits of this beautiful Alpine environment. Naomi’s classes will build strength and flexibility to aid the body during our incredible mountain hikes. Through relaxation and meditation, she will help calm the mind and aim to focus our awareness, allowing us to really appreciate the nature around us. Traditional Asana (posture) and Pranayama (breathing) practice will help you feel balanced, energised and grounded. With over 13 years of teaching, Naomi is very experienced in guiding people of all abilities, from complete beginners to experienced practitioners, and will tailor the classes to suit your own specific needs, making this retreat available to all. She will assist you in deepening your yoga practice in an enjoyable and balanced way. As well as a wonderful break in stunning surroundings, this yoga retreat will help to encourage and instil your own personal practice once you return home, meaning that the benefits you’ve gained will stay with you. Our beautiful Chamonix chalet is situated high above the valley floor, with stunning views of the magnificent Mont Blanc mountain range. The chalet has 7 bedrooms, all designed and equipped to a very high standard. All bedrooms can be shared twins or doubles with a super king size bed, all have an ensuite bathroom, LCD TV and DVD player and a South facing Balcony (several have a hammock). The chalet has its own spa with a steam and sauna room, treatment room for the on-site massages, huge living area with double height picture windows and the ideal yoga deck, complete with Jacuzzi and pool, surrounded by breath-taking scenery. During your retreat, there will be an excellent full-time chef, chalet host and driver providing catering, cleaning, driving and 24hr assistance. Please specify, when booking, if you would prefer not to share a room. The quality of the food on our retreats is very important to us. You will enjoy healthy, nutritional meals carefully chosen by our chef to complement the retreat perfectly. The food will be absolutely delicious and mostly vegetarian or vegan but you can opt for fish or meat when booking your retreat. Please include your dietary requirements in the section provided at checkout. We use organic and local produce where possible. Getting to Chamonix is easy and transport options abound. There are plenty of flights daily to and from Geneva airport (only one hour away from Chamonix by car), fast motorway connections and a direct TGV link from Paris at weekends.Click here for Travel Information. Flights are not included in the cost of the retreat but airport transfers can be arranged. Please contact Bluerise Retreat for more information.